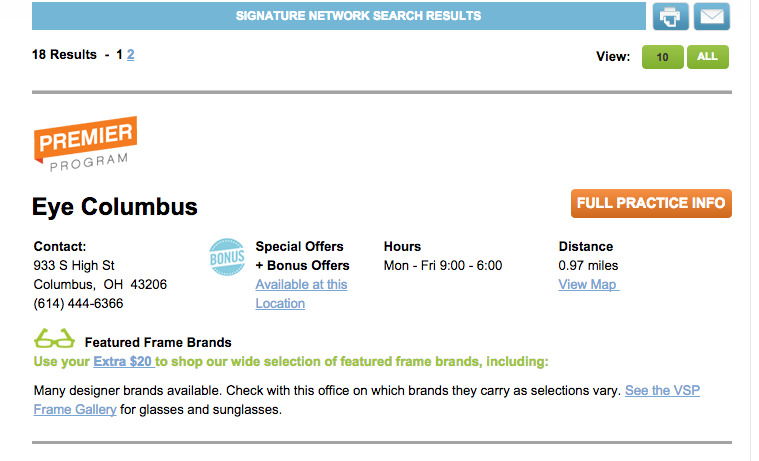 All Eye Columbus locations and Eye Columbus Doctors are in-network providers for all VSP vision insurance plans. Eye Columbus was among the first Optometry practices in Central Ohio to be recognized as a VSP Premier Practice. Have questions about your VSP vision plan? An Eye Columbus Insurance specialist will help you understand your benefits, and in many cases, find ways to save you more money on your new Eyewear. Use the Request Appointment feature below to request a Lifestyle Eye Exam at any Eye Columbus location. Please enter up to 3 dates and the best time of the day that is best for you and we will do our best to accommodate. Monday-Friday only. Please be aware that your requested time and date may not be available. An Eye Columbus Visionary will help find you the most accommodating appointment time. Requesting an appointment online does not constitute scheduling an eye exam. Only after an Eye Columbus Visionary confirms your requested time is an appointment scheduled. Thank you! One of our Eye Columbus Visionaries will jump on this and get back to you as soon as possible. In the meantime you may as well check out some other pages that will make your visit more enjoyable. Eye Columbus plants a tree for every pair of glasses we sell. Just one of the many ways we support our community in the Eye Columbus Give Back, Give Better program.